For how long will the US continue bankrolling Israel’s military? 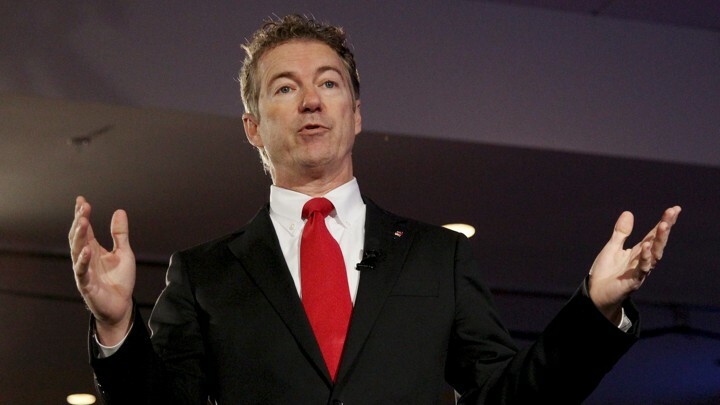 US Senator Rand Paul did something this week that is unheard of in American politics: He blocked the final passage of a massive $38 billion military aid package to Israel. Using a parliamentary move similar to a filibuster, Rand placed a “hold” on the bill’s final adoption that delays the legislation indefinitely. Rand’s move is purely symbolic; the money will still eventually make its way to Israel’s government. Every decade, Congress approves a massive funding package for Tel Aviv. The last was introduced by President Barack Obama before he left office, and included new language preventing the funding from being changed by a future president. Normally, the funding package is approved with lightning speed, preventing the process from lingering in the public discourse and raising unwanted questions or concerns. Israel has been receiving money from US taxpayers ever since it was created by the UN in 1948. The total Israel has been given, including Obama’s now-delayed $38 billion, is $172 billion — although the actual value in “today’s money” is much higher. While American taxpayers face many hardships, the $38 billion for the next 10 years will ensure Israeli citizens can enjoy many benefits, including free health care, great education, and subsidies for living expenses, including in illegal Jewish-only settlements. The money also covers the costs of the occupation. The funding doesn’t go directly to the settlements, but it allows Israel’s government to redirect other money to the illegal, racist communities. Most of the US money pays for military arms and equipment. The bill’s many sponsors assert supporting Israel’s military keeps Iran in check, but the reality is that most of the money is used to subsidize the occupation, allowing Israel to oppress, brutalize Christian and Muslim Palestinians. Apartheid and racism do not come cheap: It takes a lot of money to oppress nearly 5 million Palestinians in the West Bank, Gaza and Jerusalem, and to deny equal rights to the 1.8 million Palestinians living inside Israel. Why should Israelis have to pay for all that when they can take the money from US taxpayers without even as much as a whimper in protest? Israel has been using American taxpayers’ money for such purposes since 1949. But Paul’s action gives US taxpayers a brief chance to contemplate what this all means for them, and how the burden of Israel’s crimes and human rights violations falls on their shoulders too. Just look at the numbers. Meanwhile, nearly 1.6 million Americans are homeless, begging for charity and food. Some 6 million are unemployed and struggle to cover the needs of their families. Another 43 million Americans suffer from mental illness and need hospitalization, care and medication but can’t get it because the US can’t afford to pay all its bills. In contrast, Israel’s citizens enjoy national health care. The $38 billion the US is planning to give to Israel could instead feed the poor and homeless. It could build housing for America’s needy instead of homes for Israeli settlers. Israelis argue the $38 billion is nothing considering the US budget is $4.4 trillion each year and Israel’s is only $108 billion. In truth, the US government collects $3.4 trillion in revenues from taxpayers and has a huge budget deficit of $1 trillion a year. The total public deficit of nearly $15 trillion creates other expenses and uncertainty for Americans. Israel’s population of 8.2 million is far less than America’s population of 326 million, they say. But this means that Israel spends an average of $13,170 a year per citizen (unevenly, by the way, with the majority of the money going to Jewish citizens and far less going to non-Jews). The US, one of the “richest” nations in the world, spends an average of only about $13,496 per citizen per year. Remove the deficit and, in reality, America is only spending $10,429 a year per citizen in the form of services and benefits; far less than Israel spends on its citizens. Sooner or later, the Senate will move past Paul’s protest and the funding will start making its way into Israel’s coffers. But the questions Paul’s actions raise should not be forgotten. Can US taxpayers afford to continue to give so much money to Israel? Couldn’t it better be used to address the problems Americans face at home?